Giuliano Carmignola was born in Treviso, where his violinist father discovered and encouraged his son's passion for music and where the Vivaldi renaissance began 50 years ago. Luigi Ferro, his first teacher at the Venice Conservatory, was a soloist with the Scuola Veneziana Orchestra that Angelo Ephrikian created in 1947 to perform Vivaldi's music. He later played with the Virtuosi di Roma, with whom Carmignola was in turn to appear as a soloist from 1970 to 1978, while succeeding Ferro as a teacher in Venice. Carmignola's career was launched in 1973 when he was a prizewinner at the International Paganini Competition in Genoa. Having attended master classes with Nathan Milstein, Franco Gulli and Henryk Szeryng, he went on to perform the major violin works of the 19th and 20th centuries under conductors of the stature of Claudio Abbado, Eliahu Inbal, Peter Maag and Giuseppe Sinopoli, including giving the Italian premiere of Henri Dutilleux's Violin Concerto. As a teacher, he has been on the staff of the Musikhochschule in Lucerne and the Accademia Musicale Chigiana. 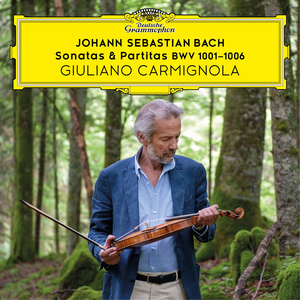 For pre-Classical works, Carmignola has two instruments, the superb Floreno Guidantus of 1739, and an anonymous 18th-century violin owned by the late Angelo Ephrikian, who also came from Treviso and who deciphered the first Vivaldi manuscripts to be brought to light after World War II. Appearances with the VBO and Marcon in Switzerland and at the Rheingau Music Festival. Concerts with the VBO in France, Germany and on tour in Japan and South Korea, with the Orchestra Mozart and Claudio Abbado in Italy, the Orchestra della Toscana in Italy, and the Academy of Ancient Music in Germany and Britain (including London's Wigmore Hall). 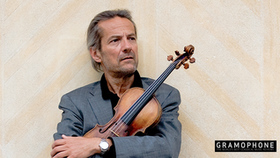 Releases this year include Mozart's Violin Concertos and the Sinfonia Concertante (with violist Danusha Waśkiewicz) with the Orchestra Mozart under Claudio Abbado and Vivaldi Concertos for Two Violins in which Carmignola is partnered by Viktoria Mullova and the VBO conducted by Andrea Marcon.